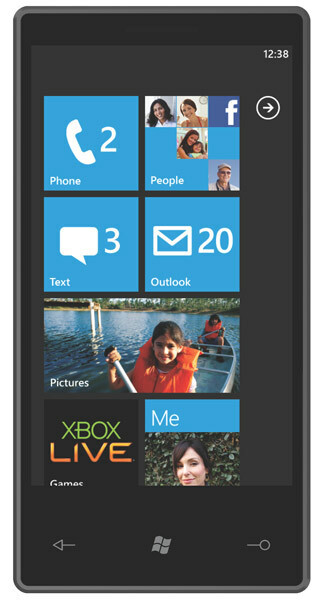 Here is a list of three reasons why we think Windows Phone 7 will succeed. This one is probably up for the most debate, but if it proves to be true, I think this will be the leading factor in what makes Windows Phone 7 succeed. The feeling coming out of Microsoft is that it finally realizes there has to be more cross integration between its products. While the new phone will be the first time we see the Metro UI, my gut is saying it won’t be the last. Various hints keep popping up here and there that the Metro user interface is going to become the standard across Microsoft products. If this is true, it will allow people to jump from one product to the next without having to constantly relearn controls; if you know how to run one Metro UI device, you’ll know how to run them all. 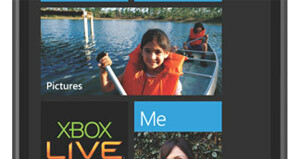 Beyond the actual look, you are already seeing Microsoft devices and services crossover finally. Zune software on your desktop, Xbox Live integration coming up in the phones, it will make people more likely to want to stick with Microsoft products so they aren’t constantly maintaining multiple contacts lists, e-mail inboxes and so on. Most of the time when you buy a new phone you need to go through and download all of your various social media services, or there’s a chance your phone is not yet supported. At launch Windows Phone 7 will support information feeds from 70 different social media sites, and it will all be integrated into the OS for easy access. You’ll still be able to download apps if you need more advanced features, but overall, what you need will be there right from the start, and it will work with all of the other parts of your phone seamlessly. While the actual merit of social media is up for debate, right now it is what the masses love, and handing them a device that does all of the major services right out of the box will be a pretty powerful temptation for a large number of people. One of the key factors for Windows Mobile was the ease with which you could take your Office files with you. While Windows Phone 7 seems more consumer driven than Windows Mobile was, Microsoft has said that Office will still be a big part of the system. With cloud storage and tools as part of the productivity suite now, you can have full access to your docs on a gorgeous screen. This may be more consumer driven this time around, but it’s going to be hard to resist for the business crowd also. None of this is to say Microsoft is going to have an easy time capturing a large portion of the growing smartphone market, but it certainly looks like it will have more of a shot than Windows Mobile had. What say you?